On weekdays this beach is relatively mellow, and is mostly frequented by morning surfers who've packed their favorite longboard. On weekends, however, Ukumehame Beach Park is a white sand carnival of trucks, fishing poles, EZ-up tents, and coolers packed with green bottles. It's a local favorite for that island pastime of simply cruising at the beach, where reggae's on the radio and everyone's smiling—especially if there are waves. Even on crowded days, however, there's still plenty of room to stretch out and find your own patch of sand, although don't expect to find any shade—this is a beach made for sun! Some morning surf lessons also meet here for the long, gently rolling waves, and mornings offer the calmest conditions since the afternoons can get gusty. Good For: Surfing, sunbathing, and dropping the tailgate while you sit in the back with your cooler. 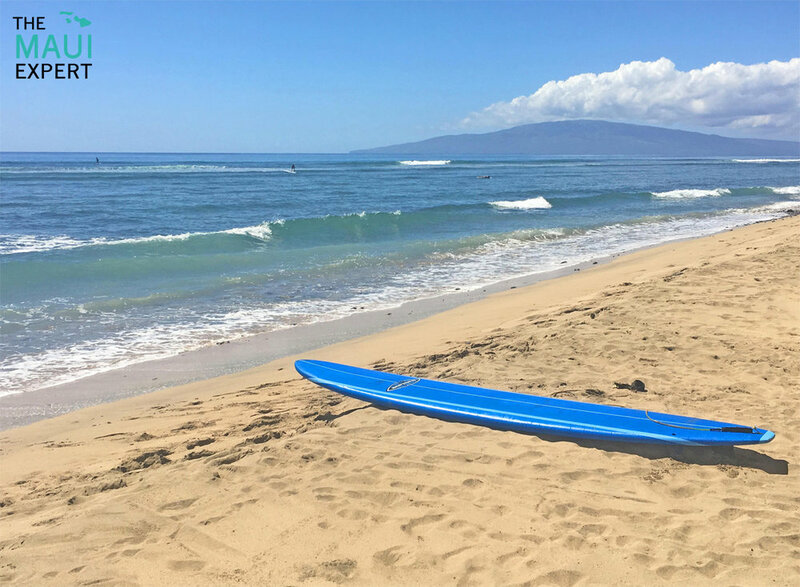 Maui Expert Tip For Ukumehame Beach Park: Technically the beach park is comprised of the section with the small public parking lot, but the most popular section of beach for locals is actually a couple of hundred yards west, in the direction heading towards Lahaina. The entry to the water can be a little bit rocky—and watch for thorns in the sand—but otherwise this white sand strip is an underrated attraction. Directions and Parking Situation: Ukumehame Beach Park is at mile marker 12 of Honoapi'ilani Highway. There's a small parking lot at the beach park itself, although most people park on the side of the road—don't get stuck in the sand!